Its that time of year again. 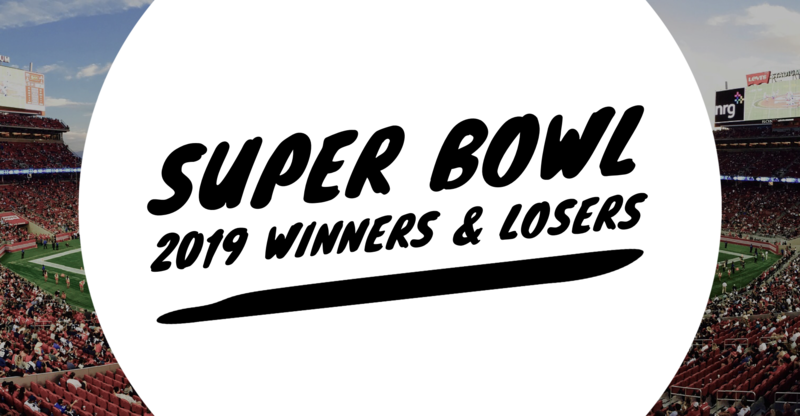 Check out our most and least favorite Super Bowl LIII ads! Every Super Bowl Sunday, some viewers tune in for the football game while others watch for the commercials. There are always ads that can be remembered years later as favorites, such as Budweiser’s “The Clydesdales Brotherhood” from 2013. Others are remembered in a different light, such as Mountain Dew’s “Puppymonkeybaby” from 2016. As we have done in the past, this year we would like to honor those commercial winners and losers. The list below features our favorite and hated Super Bowl LIII commercials. Man, this commercial made me want a Pepsi! Anything that Steve Carell endorses — I’m in. Even though Pepsi utilized the celebrity appeal or endorsement, the commercial was simply memorable. Lil Jon and Cardi B even made an appearance, I mean let me get that diamond Pepsi can! I think Pepsi really took it to the next level in general with their ads. Maybe I was thinking too literally when watching this commercial, but I simply didn’t grasp the connection between the concept of the commercial and avocados. I simply didn’t get it. I will say, the commercial definitely hooked me, but once I realized that the ad was for Avocados From Mexico, I immediately disengaged. At least it wasn’t people drinking rotten milk, I guess. My favorite Super Bowl commercial this year was Bumble’s Serena Williams ad. This commercial represented women leaning in, making the first move, and standing out. Everyone knows Bumble as the dating app, but this commercial showcased the app’s additional offerings, such as Bumble Biz and Bumble BFF. Way to go, Bumble. Your app and commercial work in so many ways. I hate to say it, but Burger King’s #EatLikeAndy commercial was my least favorite in the Super Bowl. I love Burger King, but this commercial did not do the company or the king justice. During the Super Bowl, I want to see funny or emotionally moving ads. This commercial was slow and not entertaining. This commercial gets a big thumbs down from me. Ugh. As a loyal Coca-Cola consumer known to actually answer no when asked, “is Pepsi ok?,” I am painfully awarding the lesser of the two, top-tier cola brands with having one of the best Superbowl ads this year. Obviously, Pepsi recognized the fact that people are commonly asked permission before being offended with an ice cold glass of not-Coke. So, respect for awkwardly calling everyone out on it, and then getting Steve Carrell to charm us into answering yes next time someone asks the dreaded question. I appreciate the effort, but the execution did nothing but make me a little bit nauseous. The benefit of the cheap wireless service in no way exceeded the disgusting-ness of chunky milk — especially not the detail shots. I don’t need to watch someone drink spoiled milk. 10/10 would rather pay for more expensive cell service. The NFL did it again! Last year, it stole my heart through the sultry dance grooves of Eli and OBJ. This year, they highlighted what sports are truly about: having a good time! First, they show off my man Marshawn doing what he does best – sneaking a sweet treat. Then, we have stars of the game, new and old, seeing the football fumble and jumping into action. The NFL captured the spirit of 100 years of the NFL by showing off what makes football great. I loved the music, I loved the party vibe, I loved the inclusivity, and, to be honest, I’m a sucker for some fabulous cameos! Runner Up- Bubly. Michael Bublé is a gift to us all. Mint Mobile’s chunky milk ad. I get the concept; I appreciate the humor. But I cannot get past the instant gagging that came after watching the daughter chew her thick glass of milk. Vomit. Runner Up- Any commercial for a movie or TV Show. We want to see clever, funny, & thought-provoking ads during the big game, not trailers for obscenely expensive movies we already know about. Ugh. 2 Chainz, hip-hop superstar and showrunner for GQ’s “Most Expensivest Sh*t” (a web show where the aforementioned rapper reviews ridiculously priced items like $165,000 kittens or a $1,000 ice cream cone) and Adam Scott, playing a role similar to that of his Ben Wyatt from Parks and Recreation, starred in Expensify’s short but sweet commercial on Sunday night. The commercial opens on 2 Chainz in what appears to be a comically over-the-top music video shoot. He begins rapping as he seems to teleport from a space-age machine and walk past golden-clad dancers and to reach a quite literally, iced-out sports coupe. As he sits down and continues to drop bars, his focus and flow are interrupted when Adam Scott knocks on his window to inform him that he will need to provide the proper paper receipts to recoup any of the money spent on the random assortment of expensive oddities in the shoot. 2 Chainz dismisses Scott’s concern, explaining that he has “Expensify” an app that allows you to snap a pic of any receipt and store it digitally, as to make the process of expensing items expedited and easy. Expensify effectively blended humor, hip-hop, and highlights of their app, while also inducing feelings of nostalgia about past endeavors of both stars in the scene. A great way to break onto the scene, on advertising’s biggest stage. After spending an exorbitant amount of advertising dollars to get the brakes beaten off of them by Tide during last year’s big game, Persil was back at it on Sunday. Once again, they missed the mark. For over 2.5 million dollars, Persil concocted and produced a poorly written 15-second spot that did nothing more than explain that their stain removing detergent… removes stains. Hopefully, Persil puts more thought into their messaging or takes the night off next year. It is hard to imagine the “Pro Clean” innovators making back the money they spent on ad placement as a direct result from their unimpressive spot.